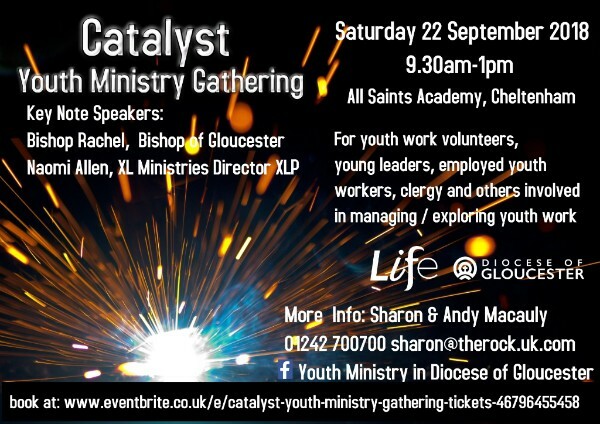 An inspiring Youth Ministry Gathering for all involved or looking to be involved in Youth Ministry across the Diocese of Gloucester. Open to all denominations or organisations! We aim to motivate, equip, build connections and inform, to be a catalyst and a connecting point so that even more young people are inspired to explore and grow in the Christian faith. 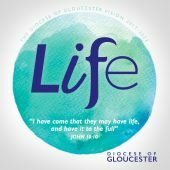 The Bishop of Gloucester, the Right Revd Rachel Treweek and Naomi Allen, XL Ministries Director, XLP. Doors Open at 9.30am for a 10am start. Although the planned activities finish at 1pm – we have the opportunity to remain at All Saints Academy into the afternoon to network further. Why not arrange to chat further as your team? Please do stay if you can – there will be a free sandwich lunch and an opportunity to connect through sporting activities. We would love to welcome young leaders (aged 14+) There are workshops planned for them, but they can also go to the other workshops. Young people aged 14-17 must have an adult member of their youth team attending the event. The event is free: we recognise the huge contribution all those invovled in Youth Ministry make to inspiring young people to be all that God made them to be. It is important to book so that we know numbers attending! All refreshments will be free. There will be hot and cold drinks on arrival, during the break and then there will be a free lunch at 1pm. Please select ‘including lunch’ ticket type if you would like a free lunch. 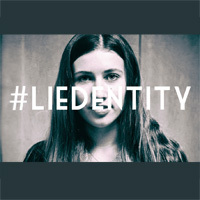 The event is for adults and young leaders – suggested age 14+. 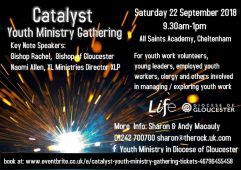 There will be workshops relevant for volunteers, young leaders, those managing or overseeing youth work (including clergy), those interested in starting up youth work and those employed as youth workers. There is on site parking. Car sharing is encouraged.